I think that Playing Cards are the original and most authentic instrument for matters of Divination. 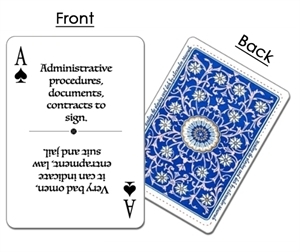 This is a fun an easy way to learn cartomancy, the art of reading the playing cards. 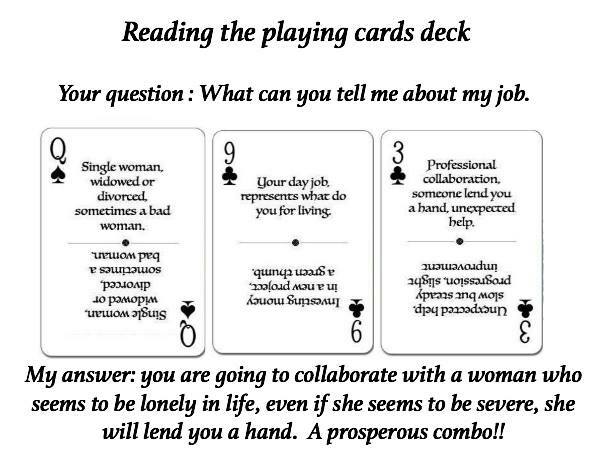 Each card had both an upright and reversed meaning, this is the traditional french creole way of reading the playing cards and it is so accurate. My objective with this deck is allowing all people to be able to use the Power of Playing Cards as a tool of Divination; using them to foretell the future with accuracy and skill. 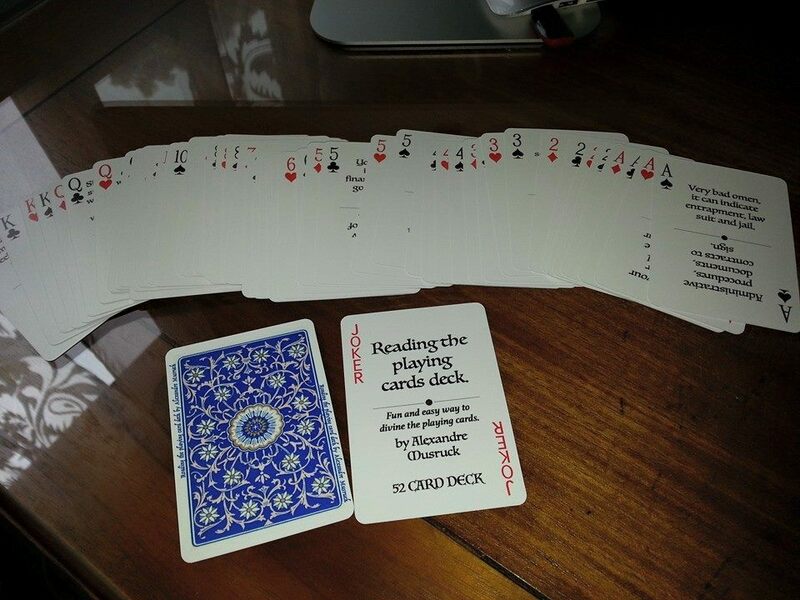 The deck is a traditional poker deck with all the meaning written directly on them, do you know the expression “Its in the cards?” its exactly that, all beneath your eyes.